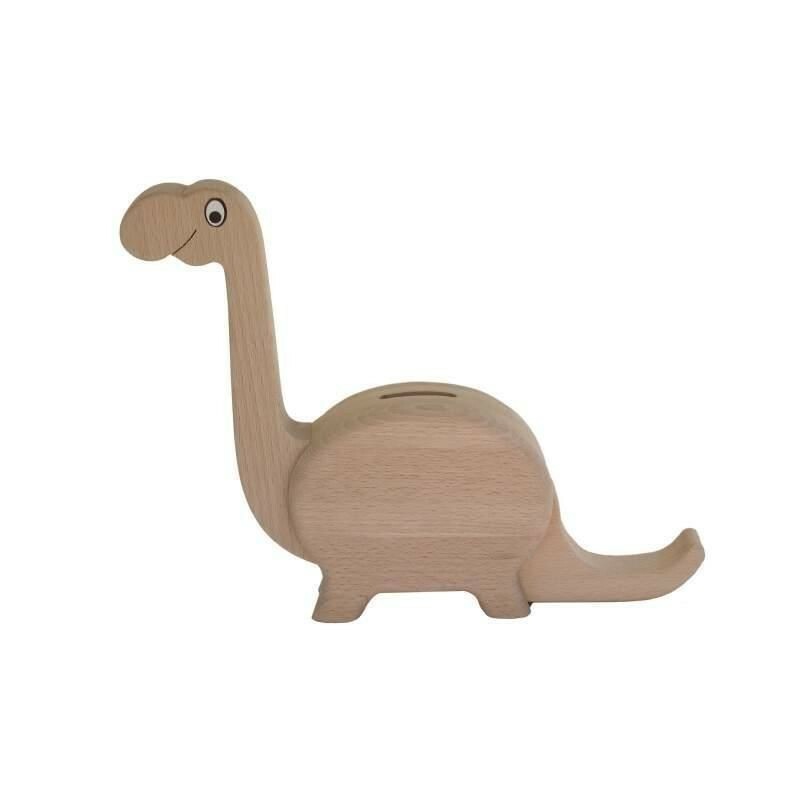 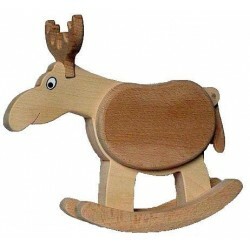 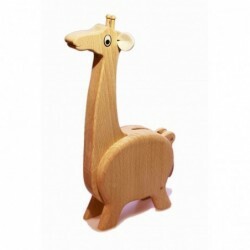 The wooden box in the shape of a brontosaurus. 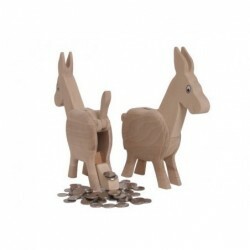 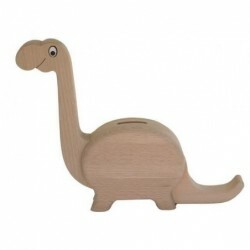 On the back of the brontosaurus is a whole for throwing a coin into the money box. 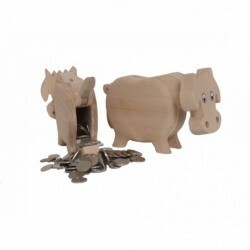 Size: 20,1H x 25,5W x 4,2D (cm).